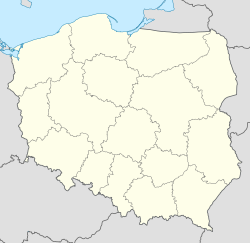 She caayr 'sy Tileesh ayns jiass y Pholynn eh Katowice (focklit magh myr [katɔˈvʲit​͡sɛ]; Germaanish: Kattowitz). T'eh soit er ny h-awinyn Kłodnica as Rawa, fo-awinyn ny h-awinyn Odra as Wisła ayns Ard-heer ny Sileesh. Ta Katowice ny slyst veanagh jeh Moir-valley ny Sileesh Eaghtyragh as eddyr 2.2 millioon as 3.5 millioon deiney cummal ayn. She cree yn oaylleeaght, y chultoor, y çhynskyl, dellal as arraghey ayns jiass y Pholynn t'ayn. She preeu-valley Wheiggey ny Sileesh t'ayn. Roish dy daink er dy ve ny phreeu-valley er y wheiggey shen v'eh ny phreeu-valley er Queiggey Katowice (1975-1998), er Queiggey ny Sileesh (1920-1939) as er Queiggey ny Sileesh Eaghtyragh 'sy Ghermaan. Ta tooilley coadanyn mychione Katowice ry-gheddyn ayns Wikimedia Commons. Hie yn duillag shoh er ny reaghey er 14 Boaldyn 2015, ec 16:34.